Own this wonderful page from Tales from the Void. Drawn and inked by A. Kaviraj, this is a very special page for collectors. 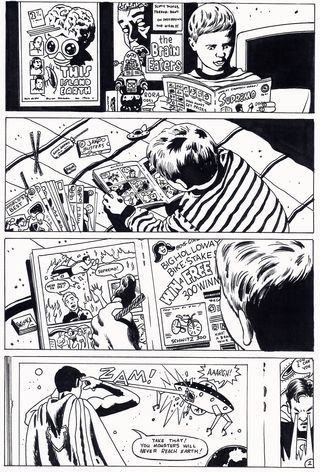 Featuring a classic image of a young boy fascinated by his comic books, this page will look great framed and mounted, either as a reminder of your youth or on the bedroom wall of the younger generation.